At Finkel Whitefield Selik, experience is the cornerstone on which our reputation is built for creatively solving legal problems in a cost-effective and timely manner and taking advantage of opportunities for our clients. We clearly delineate client options, risks and opportunities, helping clients to make informed decisions. For over 25 years, Finkel Whitefield Selik has been a valued partner to businesses, for profit and non-profit institutions and organizations and individuals. Drawing from this experience, we think more creatively, work more collaboratively and engage each client more personally. Our clients work directly with firm partners possessing many years of experience and expertise. As a result, we are able to provide quick and creative solutions to complex situations. Advice and representation for all areas of employment matters Finkel Whitefield Selik has earned a remarkable reputation in the practice of labor and employment law. Our unsurpassed experience in this area ensures the firm's clients are fully prepared to navigate the challenging conditions which are a part of business today. Whether the need is for counsel on labor organizations, or representation on an issue involving a single employee, clients value our ability to craft solutions. Claims of discrimination, harassment and wrongful discharge are costly and time consuming, even when defended successfully. As a result, we keep a sharp focus on litigation avoidance, helping our clients establish beneficial and lawful practices and procedures. A proactive strategy best serves your business. Finkel Whitefield Selik has the knowledge and expertise to serve you with direct, timely and insightful counsel applied to contracts, employee policy handbooks, collective bargaining agreements and representation before the NLRB, EEOC, U.S. Department of Labor and other state and federal labor and employment related agencies. Eric T. Weiss is an attorney with more than 20 year of experience. Eric is a tax and transactional attorney who enjoys counseling businesses and individuals on a broad range of tax, business, real estate and estate planning matters. Eric has been a member of the Firm since 2007. 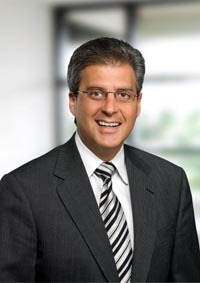 Eric has been active in the legal community, serving as Chairperson of the Taxation Section, State Bar of Michigan, after serving as an Officer, Council Member and Tax Practice and Procedure Committee Chairperson for many years. He has presented seminars on numerous tax-related topics for various organizations over the past several years, including Offers in Compromise, Business Formations, Acquisitions and Sales and various other business, estate and tax practice and procedure topics. He is also a past editor of the Michigan Tax Lawyer and was a member of its Publication Committee for several years. Eric has published several articles on tax-related subjects. Eric is admitted to practice before the United States Tax Court, U.S. Court of Appeals, U.S. District Court, and all Michigan courts. Eric received his Juris Doctorate from the University of Detroit and his undergraduate degree from the University of Michigan. Eric is listed in Martindale-Hubbell's Bar Register of Pre-Eminent lawyers that have earned the AV Peer Review Rating. This demonstrates that a lawyer has reached the height of professional excellence, demonstrating that he has practiced law for many years and is recognized by his peers for the highest level of skill and integrity.